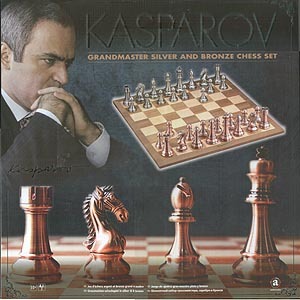 Kasparov has re-designed the chess pieces so size reflects their strength, to help beginners understand the value of different pieces. Includes large booklet including basic instructions as well as playing strategy, to help new players fall in love with the game. 4.25" King, silver and bronze effect playing pieces, solid wood chess board.